You have less than one month until it is Valentine’s Day, 2019 – are you ready?! Well, if you are not set on what to do or where to go, I am here to help! Below will be a list of entertainment and food specials I have found. This blog post will be like my New Year’s one where I will update it as often as I need to before the big day! If you know of anything I have missed, feel free to comment below so that I can get it added! Bread & Circus Sandwich Kitchen will be having a Valentine’s Night Dinner. “Ask out that special someone and join us for a special Valentine’s Prix Fixe Dinner. We’ll be serving a 3-course dinner for 2, including a bottle of wine. $50.00 single – Covers your Dinner, wine pairings and live entertainment. R Wine Bar will be celebrating Valentine’s Day with the R Jazz Club featuring Jim McKinney Quartet! Jim McKinney is back on the vibes with friends Dan Peterson on guitar, Eddie Dunn on bass, and Derek Hengeveld on drums. Show starts at 6 pm and goes until 9 pm. The Icon Event Hall + Lounge will be hosting a Lonely Hearts Poetry Night from 7 pm – 10 pm. Join us on VALENTINES Day for the LONLEY HEARTS Poetry Night. Come and hear some great LOVE poems from some of the best poets Sioux Falls has to offer! Matt Miller, Alexander Hey, Lyna Owen Love, Sadie Jane, Carl Allen, Patricia Zens, Garrett Ammesmaki and Sonia Perea-Morales. FREE SHOW! LOVELY DRINK SPECIALS! Sickies Garage is having a Valentine’s Day Sweetheart Deal – 2 for $30! Spend Valentine’s Day with that special someone at Sickies Garage and enjoy our 2 for $30 Sweetheart Deal! Get an appetizer, 2 entrées, and 2 malts from our Valentine’s Day menu for just $30 all day on February 14th. Bring your special someone into 22TEN Kitchen Cocktails on Valentine’s Day to indulge on our limited time only Valentine’s Feature menu. 8th & Railroad will be having a Pop-Up Ice Rink featuring public open skates and schedule performances from 4 pm to 8 pm. Simply Perfect is offering a Valentine’s Date Night Candle Making Class! Join Simply Perfect for their next candle making workshop! Bring your sweetie for a fun Valentine’s date night with chocolate covered strawberries, champagne and candle making! In this hands-on class, you will be able to choose your own container. The class fee covers hands-on training that teaches the candle pouring process, the basic container cost, Amber Noir scented oil and all other supplies. You will be able to bring home or gift your own custom-made scented candle! From 6 pm to 7 pm. How about cream cheese stuffed strawberries, dipped in ganache with a white chocolate drizzle as an idea for Valentine’s Day from The Cake Lady in Sioux Falls. Order by Friday February 8th at 5pm and we can have ready for valentines for $2.95 each. Regular price $3.25 each. Call 370-1909 to order yours today. Looking for something to do with your sweetheart (or friend, family member, baby, or whoever else you love!) on Valentine’s Day? Come down to Blarney Stone and listen to Humbletown! The folk/bluegrass duo will bring you an eclectic mix of original songs, haunting vocal harmonies, and lots of banjo, guitar, and mandolin. The best part is that it’s a free show! Come celebrate Valentine’s day with your loved one(s) at Blarney Stone Pub. Come early to enjoy a free nacho bar from 3 PM to 6 PM. 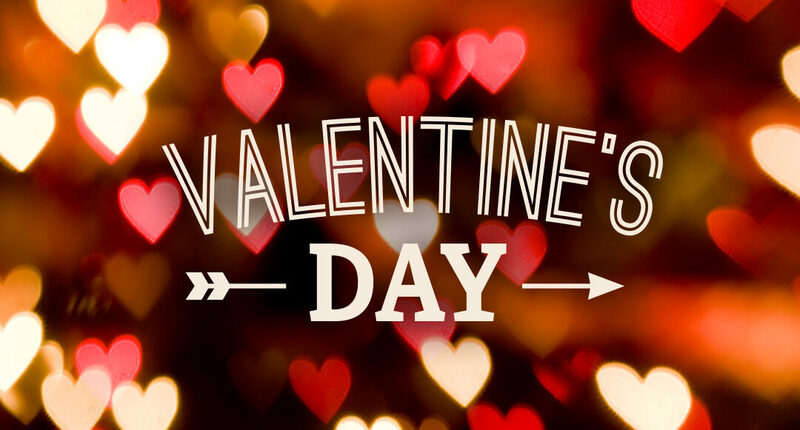 Valentine’s Day specials include prime rib dinner (starting at 5PM) and half price desserts and bottles of wine all day. If you are wanting to celebrate Valentine’s Day in Downtown Sioux Falls – you find a great list of events here! Fill your heart with love, your stomach with food, and your ears with the musical stylings of Martin Jackson at Granite City Food & Brewery. Valentine’s Day dinner for two just became extra special with the added spice of the saxophone.